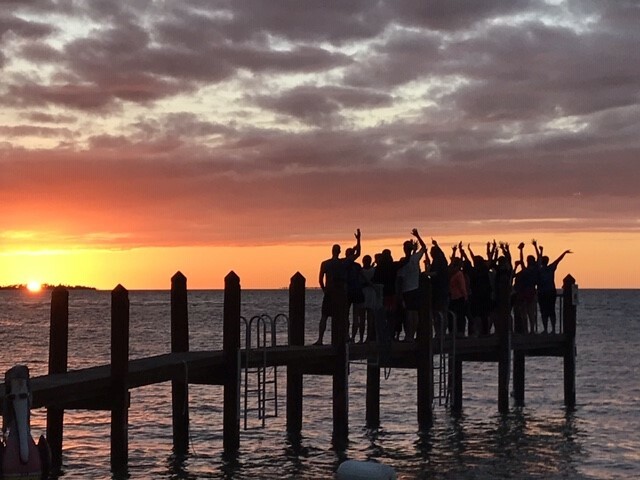 Our own BigSpeak team member, Daria Wagganer, joined Robyn Benincasa’s annual Project Athena trip to the Florida Keys to push her limits alongside other women overcoming medical and traumatic setbacks. The nonprofit, Project Athena, was founded by Benincasa to help women find their inner goddesses and achieve their biggest adventure goals in the face of any hardship. The Florida Keys to Recovery trip took place November 15-19, lasting three days and covering 120 miles of the Floridian coastline. 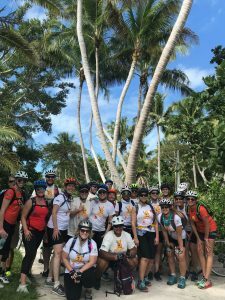 The team of 24 Athenas and volunteers started in Key Largo; then kayaked and cycled to Key West, while camping on the beach and enjoying local cuisine on the way. Through grants and fundraising, Project Athena adventures are available to anyone with a dream to live extreme. BigSpeak’s daring sales consultant and bureau liaison Daria shared her personal motivations after her first day of the three-day venture. First and foremost, I am doing this for three inspiring “Athenas” in my life—my grandmother, my mom and my sister…all cancer survivors (though my grandmother is no longer with us, she lived with non-Hodgkins lymphoma for 17 years before she died). My mom is a 12 year survivor of the same type of lymphoma, and my baby sister was diagnosed and treated for cervical cancer this past year. All three of them, and all of the Athenas on Robyn’s trip to the Keys this week are so inspiring—and making me appreciate my own health. Second, I wanted to tackle something like this just to get out of my comfort zone, to try new sports, to appreciate the capabilities that my body has (while it still has them!). There’s nothing in the world like a concentrated dose of Robyn’s magic to make you feel unstoppable! Still, have two more days and “miles to go before we sleep,” but I’m feeling strong and optimistic rather than anxious and worried. That change alone was worth the whole trip! Robyn Benincasa is a 2014 CNN Hero, San Diego Firefighter, ten-time Ironman Finisher, World Champion Adventure Racer, and three-time Guinness Endurance Paddling World Record holder. After replacing both hips, the doctors told Robyn she would never be able to live the physically demanding life she was accustomed to, but Benincasa didn’t accept that fate. She continued to push her extreme limits and created the Project Athena Foundation. Her mission now is to inspire every Survivor she encounters to realize that it’s not about the setback, it’s about the comeback. Her motivational speaking brings this tenacity to the business world by helping create unbreakable team bonds that will get your company through any challenge and inspire innovation by teaching audiences how to push the boundaries.